A Mechanical Engineer from Anna University, Venkatesh drove DCI from a web design and development company at the time of its inception to an umbrella brand with several successful brands such as GMASA, StartUP 360 magazine, Apps World Mag and Galatta Media under its wings. He is also the Co-founder, Magzter Inc. Venkatesh is one of the select 200 members of the Indian Angel Network who frequently invest in select startups. DCI is an award-winning IT, CMMI Level-3 mobile and web solutions company offering a comprehensive suite of web and mobile services, as well as IT staffing solutions, to a global clientele since two decades. Constant evolution in terms of capabilities and expertise has been key to DCI’s growing success. Recently, DCI has been nominated as the ‘Top Mobile App Marketing’ company by Clutch, and as the ‘Top ASO Agency’ by Business of Apps. We have offices in India and North America and a world-wide client base. DCI has grown organically in past 17 odd years. In the mobile app development space, too, we have teams with members working with us for a long time, constantly adding to their set of skills and gaining precious experience with every engagement they work on. We have a team of highly qualified and experienced individuals who have grown with the company and have become experts not only on the technology front but also on the business side of things. Constant training and skill upgradation is key to prepare internal teams to best leverage the emerging technologies. Like always, we would continue to evaluate and upgrade our team’s skills. This has a two-pronged effect; one, we are always prepared to expertly infuse new technologies in mobile app development and promotion activities, and two, we keep up the team’s morale high and help them meet their self-actualization needs by ensuring that their skills are always relevant and market-ready. The team at DCI advises each client on a case-to-case basis after ensuring maximum ROI for each customer. It also depends on the nature of business and requirement. We deal with both Android and iOS and consider a host of factors such as requisite effort, scalability, reusability, compatibility and environmental considerations for selecting the right platform for the mobile application for our clients. In addition to this, we also take a note of the geographical area of the client, before we suggest a platform to our clients. We have recently updated our array of services to include new services that you can check out on our website www.dotcominfoway.com. Moving ahead, we would like to add services such as Iot and Chatbot Development, and a lot to come in the year of 2018. 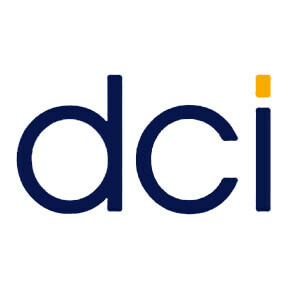 At DCI, we believe in delivering our clients the most optimum solution and the best value proposition. This is our true competence and will remain so in coming times. Instead of working on a specific requirement, we invest a lot of time and energy in understanding our clients’ businesses holistically to deliver solutions that give the best possible results. We offer high-quality services through expert resources at very competitive prices, making us unique in the market. In addition to a strategic approach to solving client problems, we are increasingly using our in-house business frameworks and operational modules, which ensures accuracy and efficiencies in our solutions. In addition, we also take into consideration factors such as the complexity of the app, target regions, supported platforms (iOS /Android/ Windows phone), as well as, whether it is an offline or online app, before fixing a budget or price quotation. Well, I’d say that the future is here! New technologies such as AI, Virtual Reality, IoT and bots are already bringing a sea of change in the way most industries work. As these intuitive and smart technologies will power the real world, the need for mobile apps that can host them would increase manifolds. Smartphones would continue to be the single window for managing and operating a plethora of things in real life. For instance, people in near future would increasingly be using their mobile phones even to do mundane tasks such as opening the door and finding a colleague in the office. Mobile applications would be the platform for humans to interact with the intelligent technology of tomorrow. In short, the future of technologies such as AI, Chatbots, IoT apps, Augment/ Virtual Reality apps, etc., is indeed very bright. For the year 2018, our sight is set on a diverse set of industries including EdTech, Fintech, Food Processing & Delivery, Construction, Gaming & Entertainment and Fitness & Healthcare. The reason why we are excited about these industries is simple – the increasing possibilities in these areas owing to the infusion of IoT and AI in these fields. All these industries, and many others, are going through a significant revival triggered by IoT and AI. For instance, the EdTech sector has not even scratched the surface yet – and armed with AI and IoT, this sector is bound to change the global education space as we see it. Similarly, the construction sector is rapidly moving towards offering smart homes and offices powered by IoT. And at the centre of all these technological developments are mobile apps. We foresee that going forward, we would build and strengthen our core capabilities in the upcoming areas such as mobile re-marketing, location-based marketing, user-generated content, mobile video advertising and mobile programmatic advertising. We aim to build on our core competencies in business strategy and mobile-first technology in the above-mentioned areas to sustain our dominance in the market.